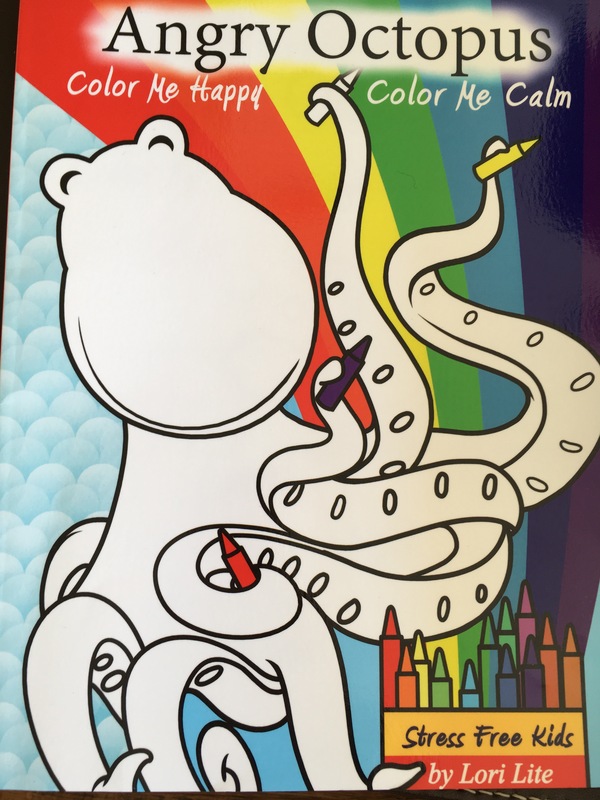 Review: Angry Octopus Colour Me Calm, Colour Me Happy. By Stress Free Kids. Colouring books can be a brilliant way of releasing stress and calming people down- as well as being enjoyable. One of the reasons Adult Colouring Books have been such a big hit over the last few years, is their therapeutic benefits. 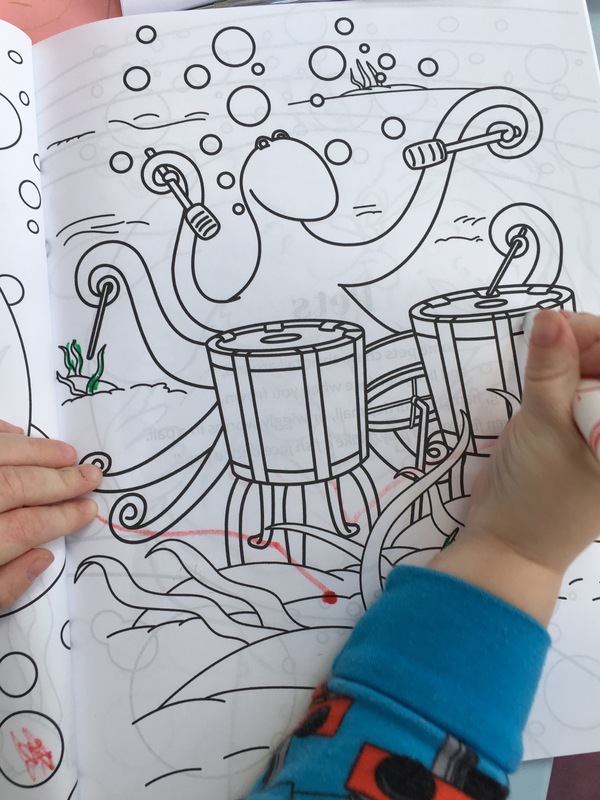 I was therefore excited to discover the Angry Octopus Colouring book by Lori Lite (Stress Free Kids). As a tutor for children with Special Educational Needs (www.cheshiresentutor.com) and a mum- I could see the benefits of the book with the children I’ve worked with, as well as my own. 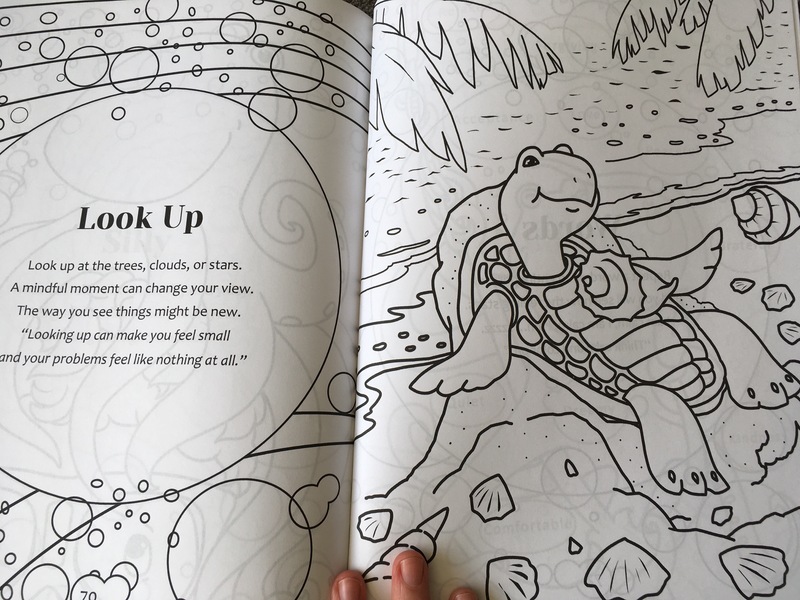 Not only is it a beautifully illustrated colouring book for children in it’s own right, but it’s packed full of useful tips to help children manage their stress and emotions. I can envisage so many uses for this book. Particularly in schools- as an activity for a child to do to calm down if they have had a problem in lessons or during break time. The illustrations are detailed– therefore there is plenty of colouring to do. This gives children the time they need to calm down and process their emotions. The tips/quotes are insightful and useful. They include tips such as how to physically relax your body, what different feelings they might have and how to breathe to relax one’s self. 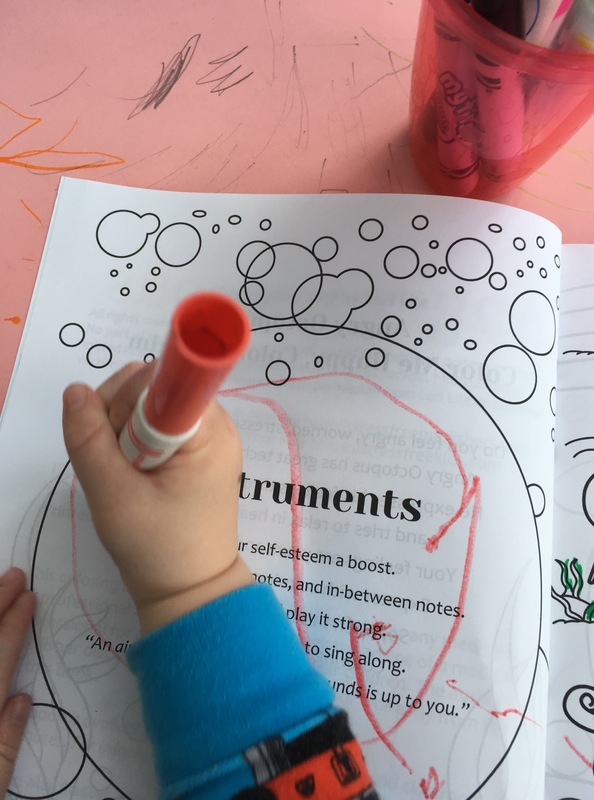 The book is adaptable to many age groups and abilities- it could be used simply as a colouring book, or the teacher/parent could read the tips to the child as the child colours, or the child could independently read the tips and colour in. 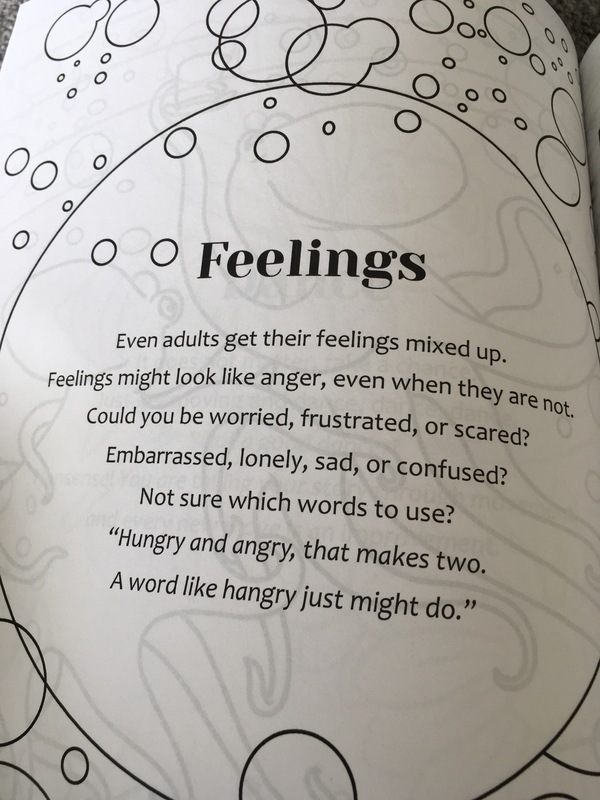 It includes beautifully written poetry- The tips and advice on managing emotions written in the colouring book are beautifully written as poetry, which further engages children.